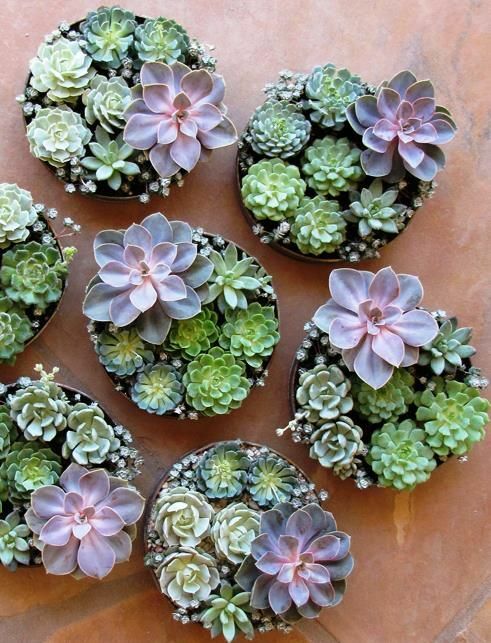 If you read my last post, you might have noticed that my friend had some ridiculously cute succulents planted in mini mason jars as her wedding favors. I absolutely loved the idea, so needless to say I was less than pleased when I realized we forgot to bring ours home with us. I've been wanting to get some succulents for the longest time now and finally picked some up at The Home Depot this past weekend. I was debating whether I should get a bunch of individual plants and arrange them myself, or just buy arrangement that was already put together. I ended up going with a little pre-arranged planter because I thought the plants looked healthy and that it would be an easy thing to start with. If I don't kill these guys, maybe I will get some more and do a little arranging myself - I'm thinking something using this box would be fun! Succulents seem to be growing in popularity (or maybe I'm just noticing them more because I love them so much? ), but I've rounded up a little bit of (p)inspiration for you. Heart eyes for that crown, right?! One of my most favorite Instagram accounts that I've been following for a couple years now is @seasthemoment. 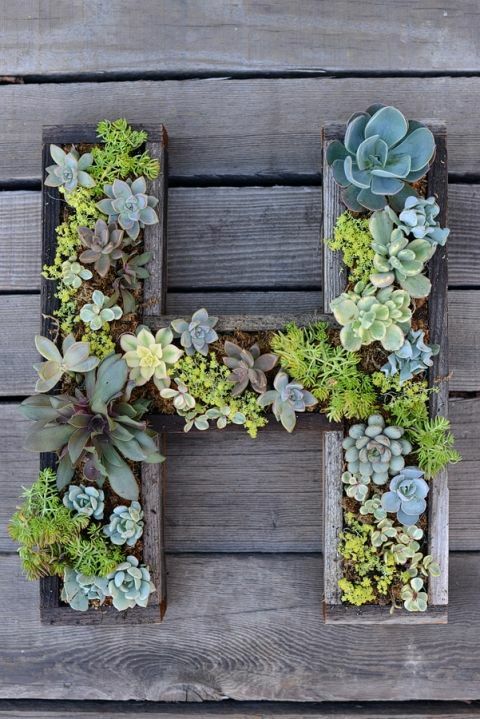 So many succulents + other plants, gorgeous interiors, beautiful beaches and plenty of adorable cats - what's not to love?! Definitely check out her feed for a little swoon worthy inspiration. 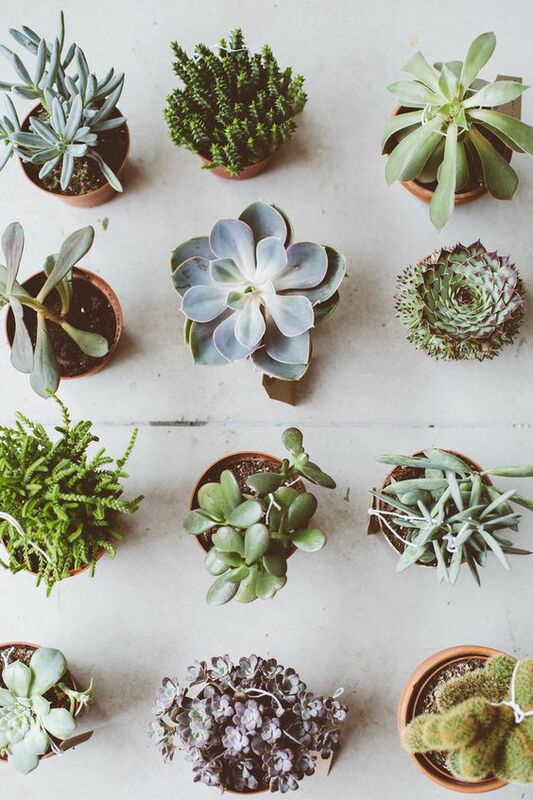 Also, there are a ton of great succulent-related tips on Needles + Leaves. I just skimmed through a few pages but will definitely be going back to do a little more in-depth reading. 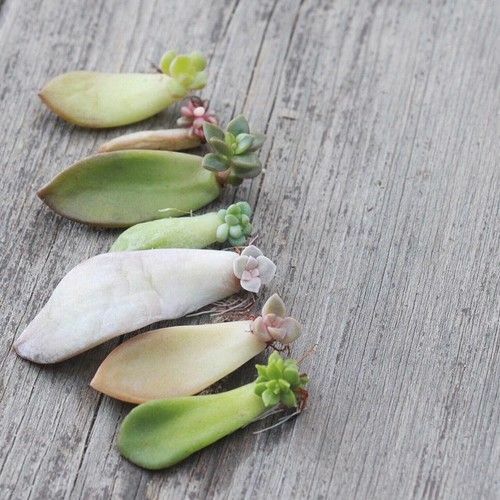 While these little guys seem pretty easy to care for, tips are always welcome if you happen to be a succulent professional. 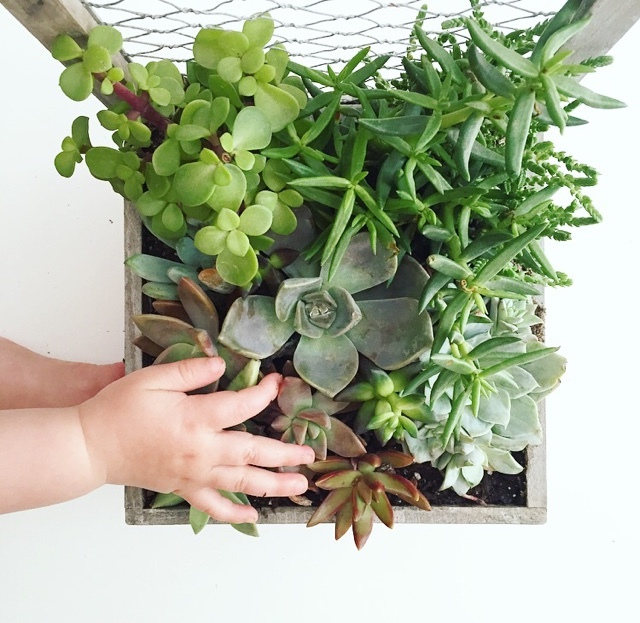 ;) I am keeping my fingers (and not-so-green thumbs) crossed on this one!